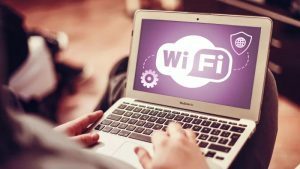 One of the major issues which can affect the speed of your home Wi-Fi network is the number of people using it at any one time. If you have a small family and still seem to constantly have a lagging internet connection, you may want to double-check that outsiders are not using your connection without your permission. Many factors can cause a slow internet connection; from your hardware to your internet service provider, to your downloading habits, all these things can take their toll on your speed. However, if you leave your home network open an unsecured, you are even more likely to experience lower speeds due to people piggybacking off your connection for free. The first thing you need to do is make sure that your Wi-Fi network has a password lock on it. However, your password will not do you any good if it is too easy to guess! Stay away from obvious choices like the name of your network, or easy targets like “password” or “1234”- they’re not going to fool anyone! Your best choice is to include at least 1 number and 1 uppercase letter in your password to make it a little harder to crack. If you suspect that your password has already been cracked, your best bet is to simply change the password at once.